I'm always looking for new slow cooker recipes and receive a lot of feedback from readers that you're also looking for more. 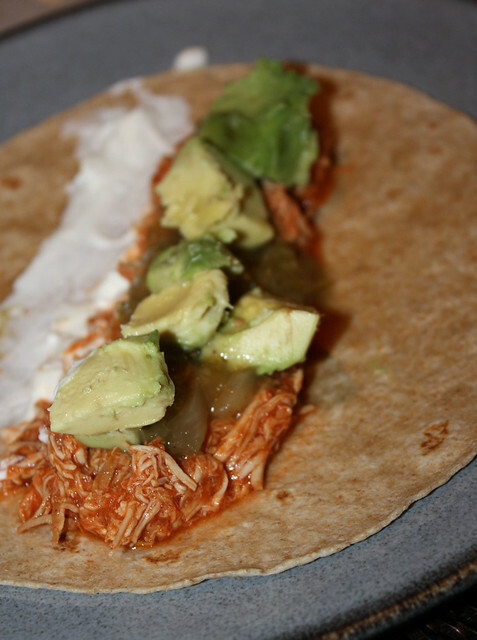 So I took this Chipotle Chicken Recipe from Homesick Texan and threw it into my slow cooker. Once again, it was great to come home to a delicious dinner. Making the chipotle sauce means that this recipe takes a little more leg work than just dumping ingredients into your slow cooker, but it's well worth the effort. Combine first 13 ingredients (from chicken broth to ground black pepper) in blender and blend into chipotle sauce. 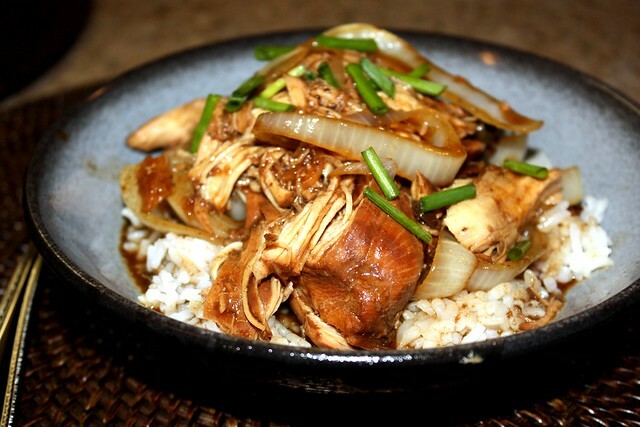 Place chicken in slow cooker and top with chipotle sauce blend. Cook in slow cooker on low for 6 hours. Serve in tortillas with tomatillo salsa and avocado. YUM! 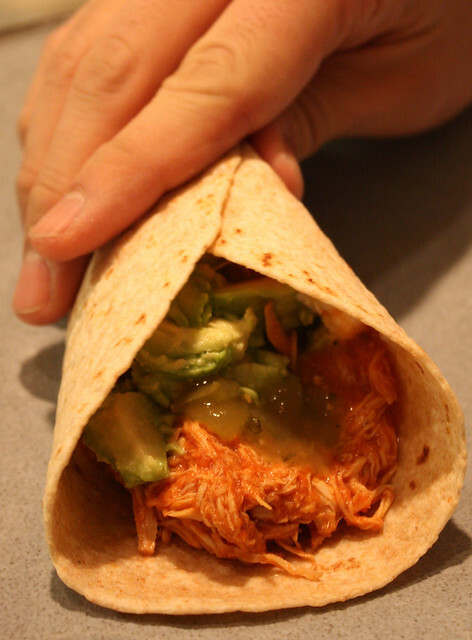 I love everything about this - slow cooker, chicken, chipotle and tacos! Can't wait to try it. Can the chipotle sauce be made the night before and left in the fridge? Have you tried this? Sorry for the delay! I thought I had responded, yes you can make the sauce the night before and refrigerate! I haven't tried it, but most likely will next time! 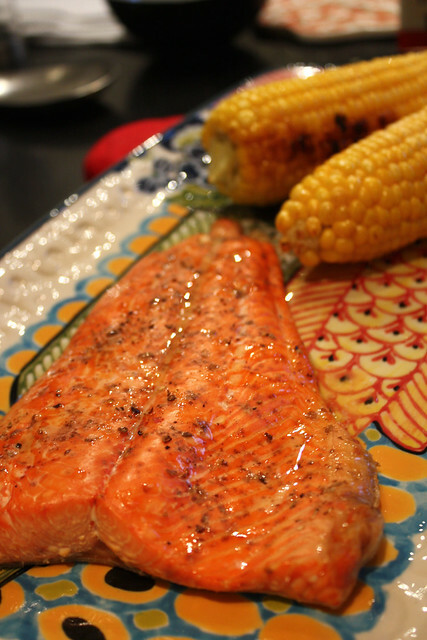 This is a great recipe - loved it!! Wonderful recipe! 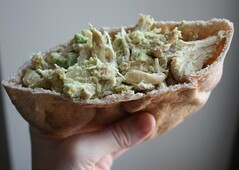 I made this last week (without the chipotle) and the result was delish! I will definitely make this again. Thanks so much for sharing!